Studio Athletica | Downtown Toronto Headache Physiotherapy. Call Now. Below you will find a list of some conditions that we see with our Downtown Toronto headache physiotherapy clientele. At Studio Athletica, we specialize in several different services that can help treat your health problems. Please feel free to read more about your symptoms, conditions and our suggested treatments, pricing or contact us to pinpoint the best treatment to heal your body.Below you will find a list of symptoms and conditions that may be affecting your body in the head and neck area. At Studio Athletica, we specialize in several different services that can help treat your health problems. Please feel free to read more about your symptoms, conditions and our suggested treatments, or contact us to pinpoint the best treatment to heal your body. The downtown Toronto headache physiotherapy program is the gold standard. Our Downtown Toronto headache physiotherapy program sees a lot of headaches. Headaches, a pain that can affect the head and neck. In sports, headaches are one of the most common injuries sustained. 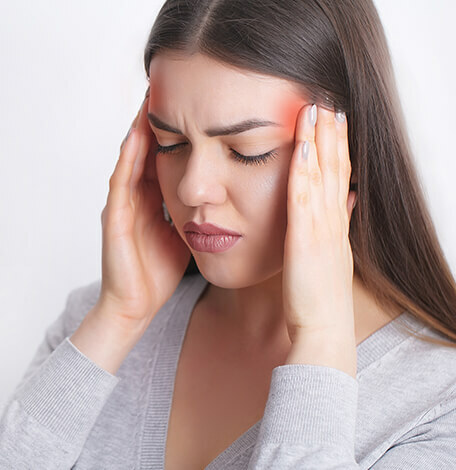 There are various types of headaches such as benign exertional, caused by a sudden rush of blood to the head which can lead to an increase in blood pressure, such as weightlifting. This type of headache usually last a short period of time – but some can last several hours. For athletes, the most common form of the headache is often post traumatic, after a sudden impact to the head. A migraine is a more severe form of headache which is often associated with side-effects relating to vision and nausea. Often, migraines can feel debilitating and last for long periods of time. Most commonly, migraines are attributed to a decreased level of serotonin while other contributing factors may include stress, anxiety, disturbed sleep patterns, dehydration, poor posture, and lack of nutrition. Our Downtown Toronto headache physiotherapy program sees a lot of concussions Concussions can be defined as a disruption in neurological function following a significant impact to the head. The onset of a concussion can occur anywhere from immediately after to hours after the impact to the head. If not treated appropriately, it may cause long-lasting damage. Typically, the brain will experience an energy deficit following injury. When the brain is in this low energy state, it becomes extremely vulnerable to additional trauma.